This is a 4-night, 4-day workshop. Your adventure begins at 11 a.m. on September 23 and ends after a final shoot on the night of September 26. $1750 + applicable taxes. Apply below. Skill level: This is an advanced-intermediate to advanced light painting workshop. 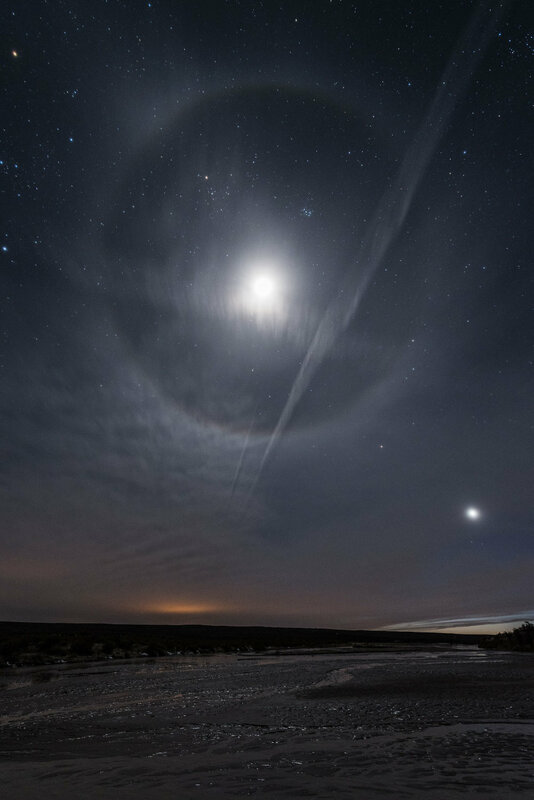 Participants should be completely comfortable with their equipment, with night photography in moonlight, and have some light painting experience. Note: Deposit of $500 is required to reserve your spot at the workshop. Balance of $1,250 due on June 25, 2018. Or, you may choose the "Pay in full" ticket if you desire to pay all at once. Last day for a cancellation request is June 24 (see details here).The workshop fee does not include transportation to and from the park, lodging, food or the park admission fee. We are searching for new places to explore and to offer our workshops. We may one day explore the Chaco Culture again, but we're likely to visit a lot more parks and places before then. If you have a dream of making epic long exposures here, we hope you join us in 2018. 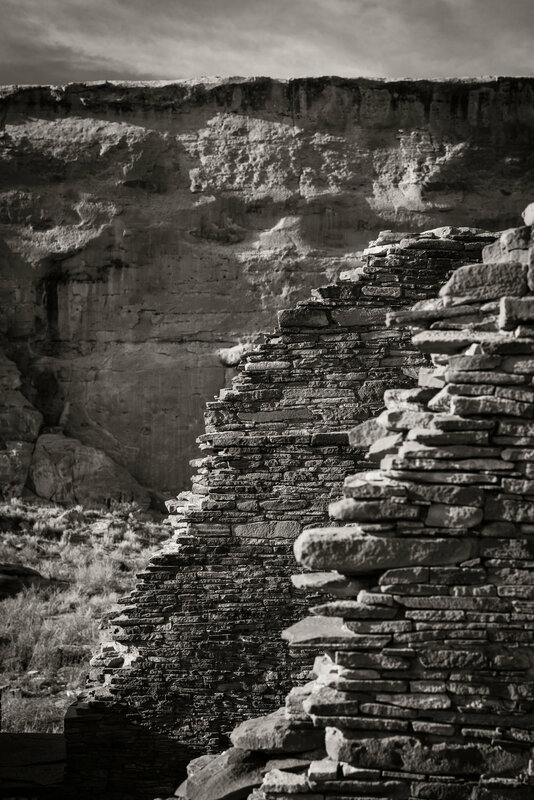 We will be learning about and photographing fragile archeological sites with significant historical, cultural and spiritual importance to the native peoples of the southwest. 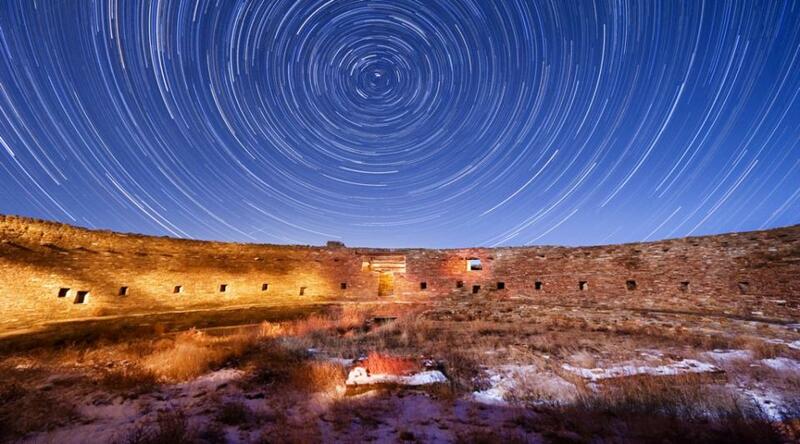 This is a rare opportunity to access these sites after hours. Participants must be willing to work in close quarters with others in the group, and to adhere to the restrictions and boundaries established by the rangers. The emphasis of this workshop will be to refine light painting skills and to produce portfolio-quality images. 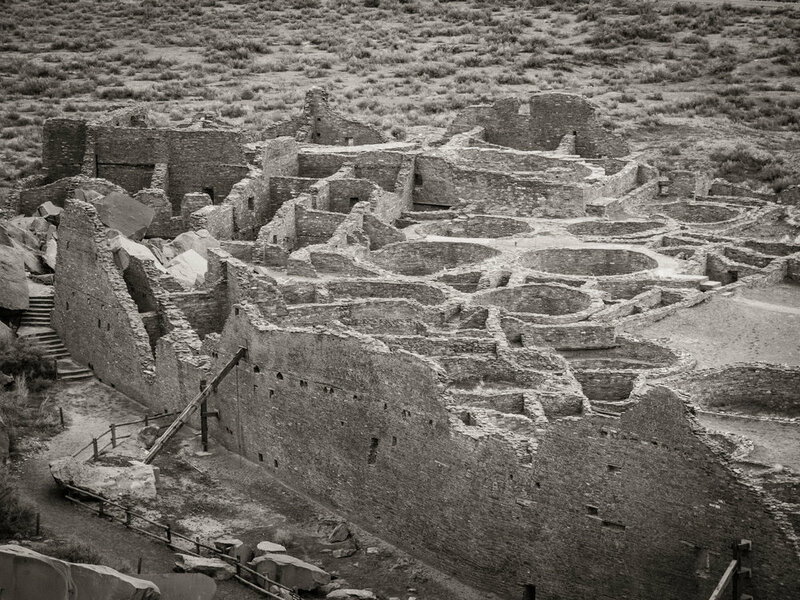 The sheer scale of the pueblos at Chaco Canyon is overwhelming. It’s a place of presence and power, and one that cannot be appreciated without educated interpretation. We will have at least one guided walk with a ranger, and hopefully insights from a descendant of the people who built these great houses. This is a total-immersion workshop, and the best way to experience it will be to camp at the campground in the park, in either an RV or tent. Participants must be completely comfortable with their equipment, with night photography in moonlight, and should have some experience with light painting. There will not be instruction in basic night photography. If you would like to attend this workshop but are unsure whether you have adequate night photography skills, we can offer pre-workshop tutoring to get you ready for your adventure with us. During the daytime, we will explore the pueblos to familiarize ourselves with the park and develop a plan for photographing each night. 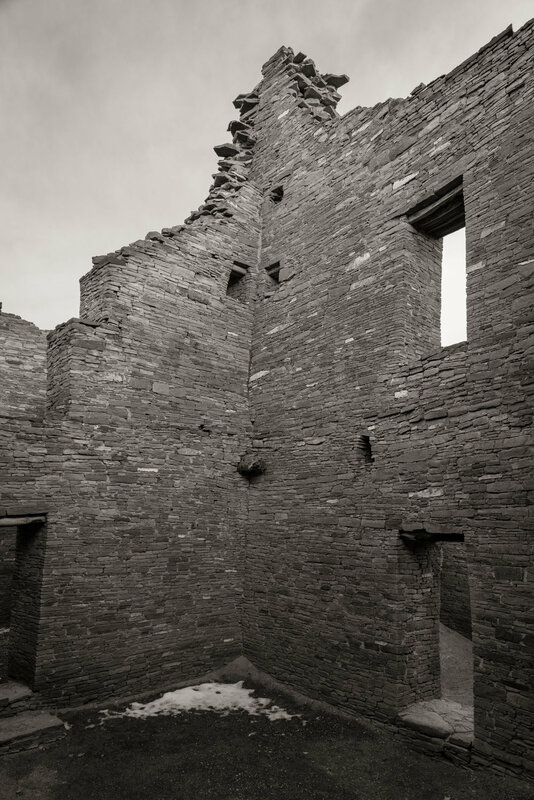 We will learn about the people who built the remarkable structures at Chaco Canyon, and the history of the places here from a variety of sources. We will also discuss and evaluate the results of our efforts, but there will be less class time and more time spent on-site than in most of our workshops. 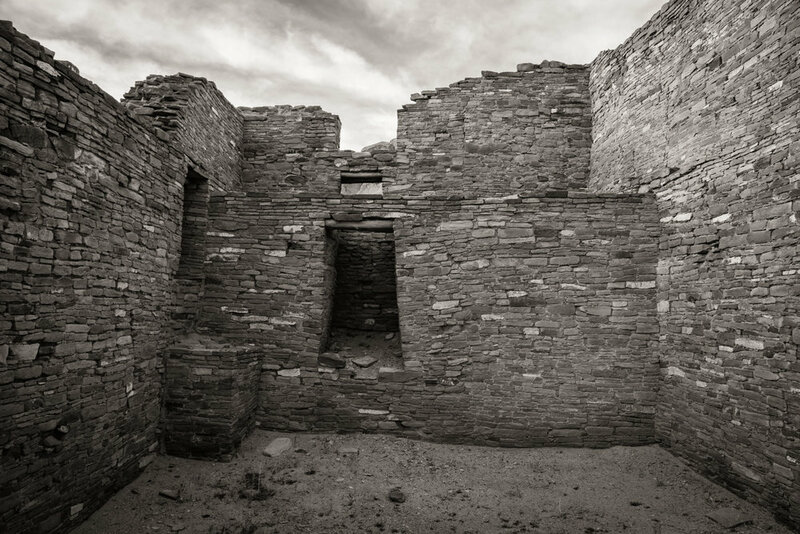 Each night we’ll work collaboratively to light and photograph a different pueblo site with the goal of creating a portfolio of images that showcases the nature of these ancient structures. We hope to push you to step outside your comfort zone—to learn new skills, and also take your photography to a deeper level that reflects the special and unique nature of the location. 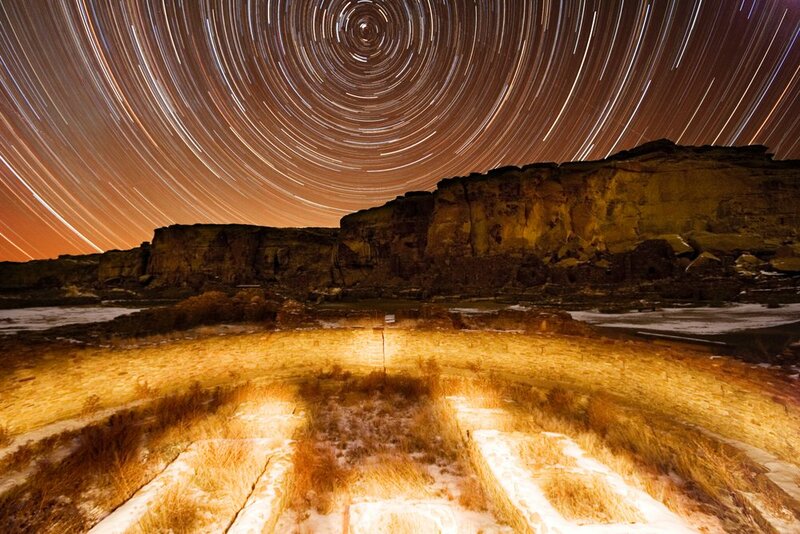 You’ll go home after the workshop with a better understanding of light painting, a new appreciation for the Ancestral Puebloans, and a portfolio of images. If there is sufficient interest, we can organize an exhibit of the work to be shown at the park or elsewhere. Classroom time will be devoted to discussions about our work, and the history of the places we will be photographing. You are responsible for your airfare and vehicle rental. Albuquerque (ABQ) — 3 hours. Most people will fly into Albuquerque. Four Corners Regional Airport (FMN) — 1.5 hours. Great Lakes Airlines, a code share partner for United Airlines, offers flights to and from Denver, Phoenix and Los Angeles. We recommend renting an RV, as there is only one campground in the park, and the nearest accommodations are 1 1/2 hours away. Even if camping is not your thing, this will be a great experience and opportunity for camaraderie with the workshop participants. Most RVs sleep at least four people, but even two people sharing will conserve resources and help to keep your costs down. The campground in the park is where the instructors and most participants will stay. There are no showers at the campground, which is another reason to rent an RV. There is no food available in or near the park. You will need to bring food with you, even if you are staying in a motel, as we will be on-site and working from roughly 11 a.m. to midnight or later each day. You are responsible for arranging and paying for your own meals, vehicles and accommodations. This will require advance planning. We recommend teaming with a friend, or we can try to connect you with someone else in the group. 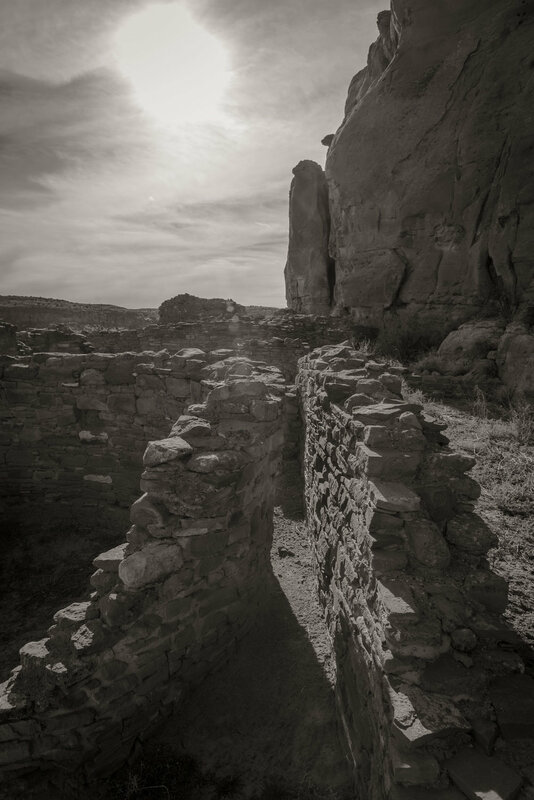 Chaco is located at 6,200 feet in elevation. 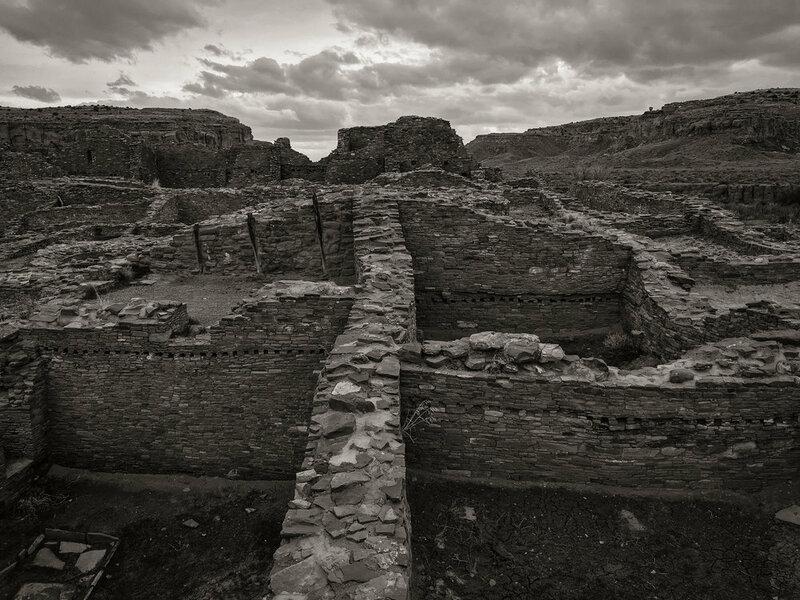 The weather in Chaco Canyon is unpredictable and can be extreme. The normal temperature range for late September is between daytime highs around 75 F and nighttime lows around 40 F. Record temperatures for the month are 102 F and 19 F. Come prepared for all possibilities! Recommended attire: As is usually the case, breathable layers work best. Synthetics that wick moisture and dry quickly are a good choice. Bring a medium weight winter coat, hat and gloves, and quality hiking shoes or boots. Bring a wide-brimmed hat, sunblock and two water bottles. No strenuous hikes will be required, but we will be going on several mile-plus long walks with a few scrambles at an altitude of 6,200 feet. Please consider your physical abilities prior to registering. You should be comfortable carrying your own equipment over uneven ground in the dark, and willing to put up with the discomfort of camping for at least four or five nights. 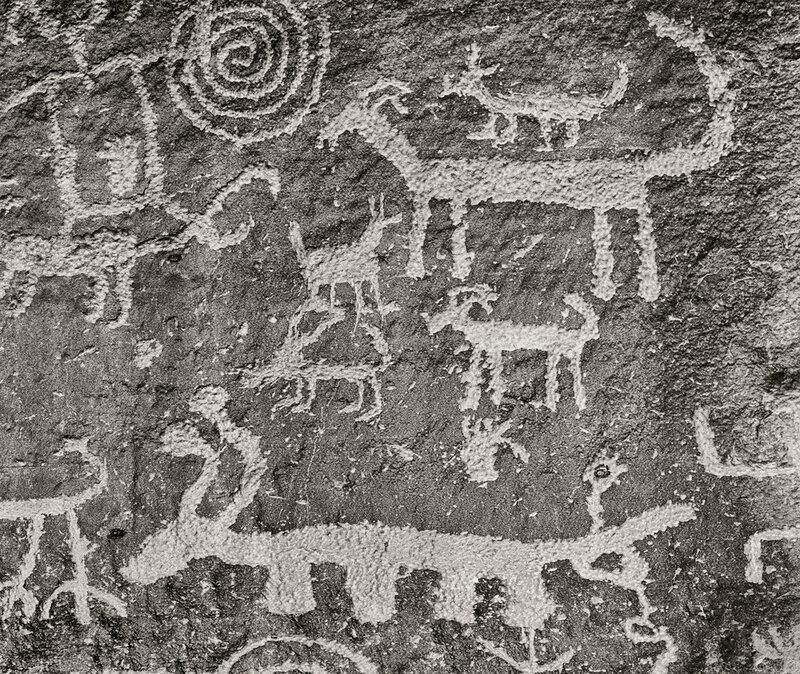 My first exposure to Puebloan culture was on a visit to Canyon De Chelly in 1992. Seeing the cliff dwellings as a young man made a strong impression on me—not an uncommon reaction for anyone. The fact that people chose to live in such inaccessible places, in the middle of a sheer cliff, was just hard to comprehend. 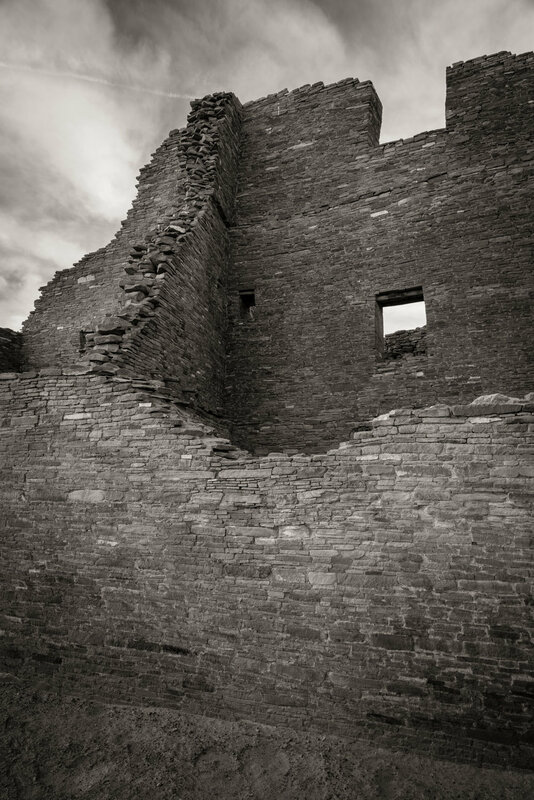 Exploring these ancient dwellings further has been on my bucket list ever since, but life got in the way and I didn’t have the opportunity to get back to this part of the southwest for many years. 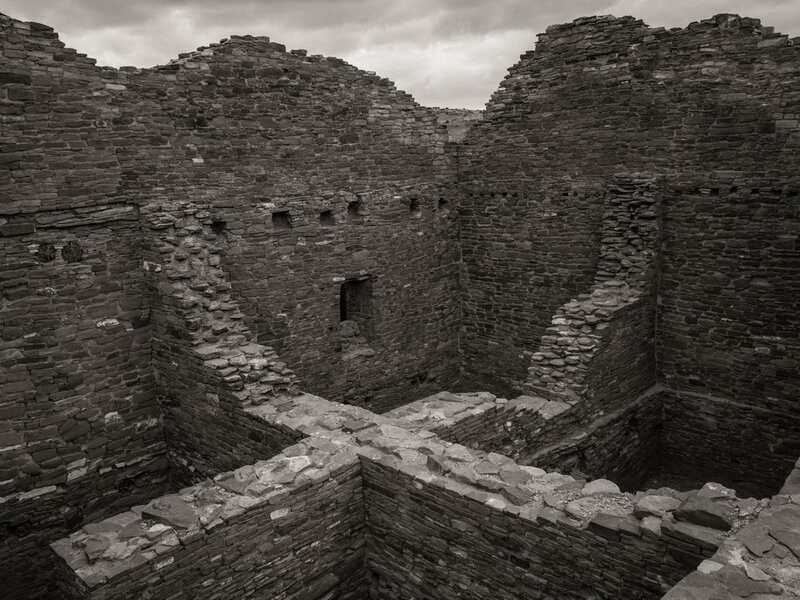 This past March, my fiancé and I planned a trip to New Mexico and Colorado to visit Chaco Canyon, the inappropriately named Aztec Ruins National Monument, and Mesa Verde National Park. Much of Mesa Verde was inaccessible due to winter road closures, and Aztec Ruins was fascinating, but not appropriate for an NPAN workshop, so off we went to Chaco. Mind Blown. Pueblo Bonito contains about 800 rooms and in places is five stories high. 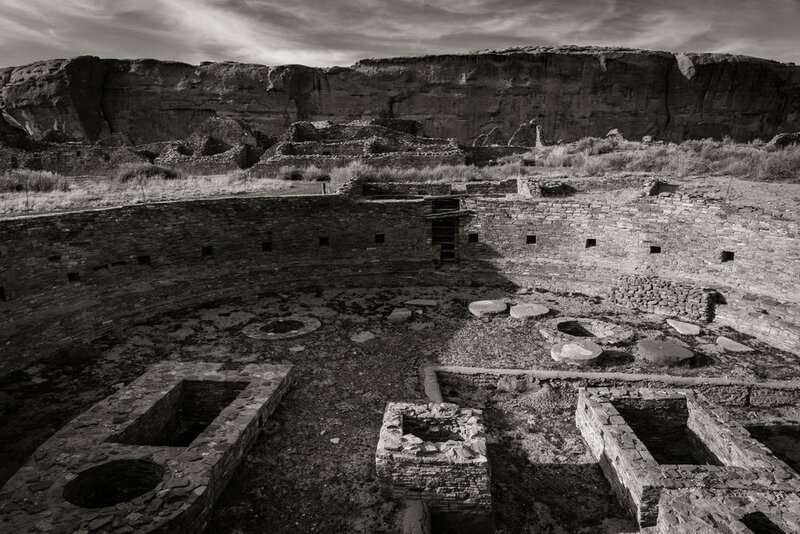 A village, a city, a ritual center, a marketplace, or all of the above, it was the center of the Chacoan world, constructed in stages between A.D. 850 to 1150. And this is just one of the eight major great houses in the canyon. After the initial experience of being awestruck started to subside, it was obvious that this was a place that both would be an incredible location for a light painting workshop, and a logistically difficult one to organize. This workshop is a bit of a departure for National Parks at Night in several ways: It is billed as an advanced-level workshop—there will be no basic night photography instruction, we will work closely with the park to dig deeper into the culture and history of the location, and we will spend many of our daytime hours exploring the various sites rather than in the classroom. I’m proud and excited to be leading this workshop with our co-founder Matt Hill, and I hope that you will join us there for this special event.